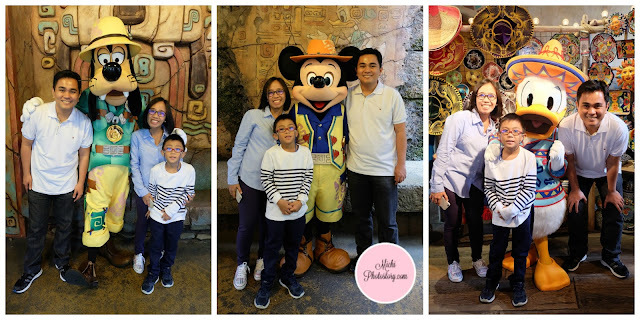 Our family loves to travel but of course, the budget is very limited so it is indeed a priviledge for us if we can travel from time to time. We really treasure those moments and experiences when we visit other countries. Our (my son and I) last out of the country was 2014, when we visited Malaysia and Singapore and we renewed our passport in 2015. The year 2016 came and I was itching to travel. My husband just laughed at me and because summer vacation was approaching, he invited us to join his business trips. Of course, I will just choose one country because like I said, the budget is very limited and we don’t want to break the bank. I chose Japan because it is on my bucket list for a very long time. For some reasons, the trip was rescheduled. The original schedule was first week of April, then they changed it to last week of April and it was moved to last week of May. It was supposed to be an eight days trip, nabawasan pa ng one day because my husband needs to fly to Indonesia after Japan. At some point, I was already losing hope because it was rescheduled for so many times and classes were soon to resume. 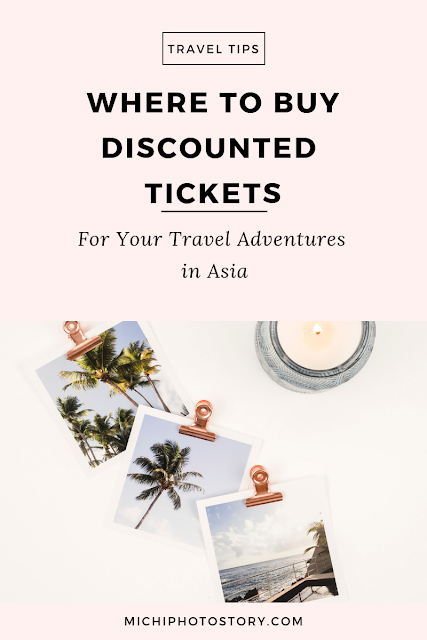 We had visas and plane tickets and one week before our trip, muntikan na di matuloy. But thank God, everything fell into place. Few days before our trip, my husband messaged me na tuloy na trip namin. Yey, so while he was in Bangkok, I was busy packing our stuff and finishing our itinerary. This is it! Sharing with you our trip. We booked an early flight so we can enjoy Tokyo on our first day but it did not happen so blame it on the schedule of Airport Limousine Bus. We were in Narita as early as 11:30AM and the next schedule of Airport Limousine Bus is 2:50PM. It was really a long wait but no complain because we were in Japan. I can’t believe na nasa Japan na kami. Hihihi! 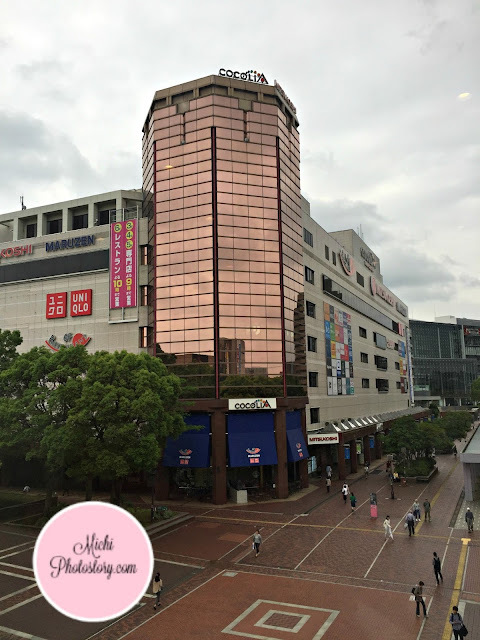 We stayed in Keio Plaza Hotel Tama which has a very strategic location because it is near train station, bus station, malls, restaurant, convenience store and of course Sanrio Puroland. Everything is just a few minutes from the hotel. 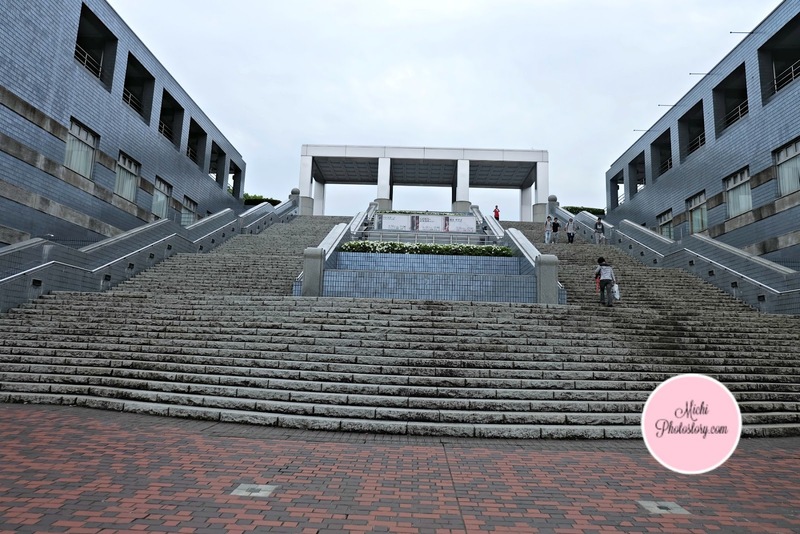 We’re supposed to visit Shibuya but decided to explore Tama, Tokyo to familiarize ourselves. 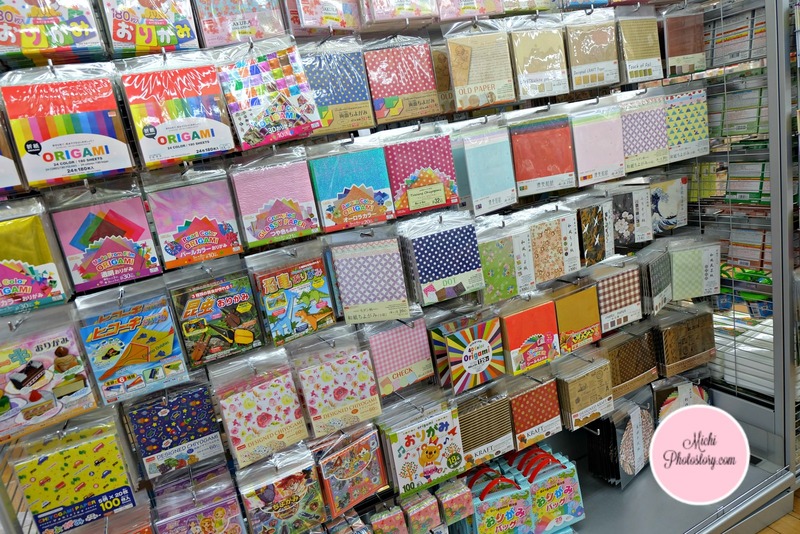 Sanrio Puroland is just 5 minutes away from our hotel so I included this in our itinerary. At first, my son did not like the idea but when we got there, he already enjoyed it. After our trip in Sanrio Puroland, off we went to Shibuya to witness the famous “Scramble” at Shibuya Crossing. And of course, a trip in Shibuya is not complete without visiting Hachiko Statue, one of the famous dogs in the world. 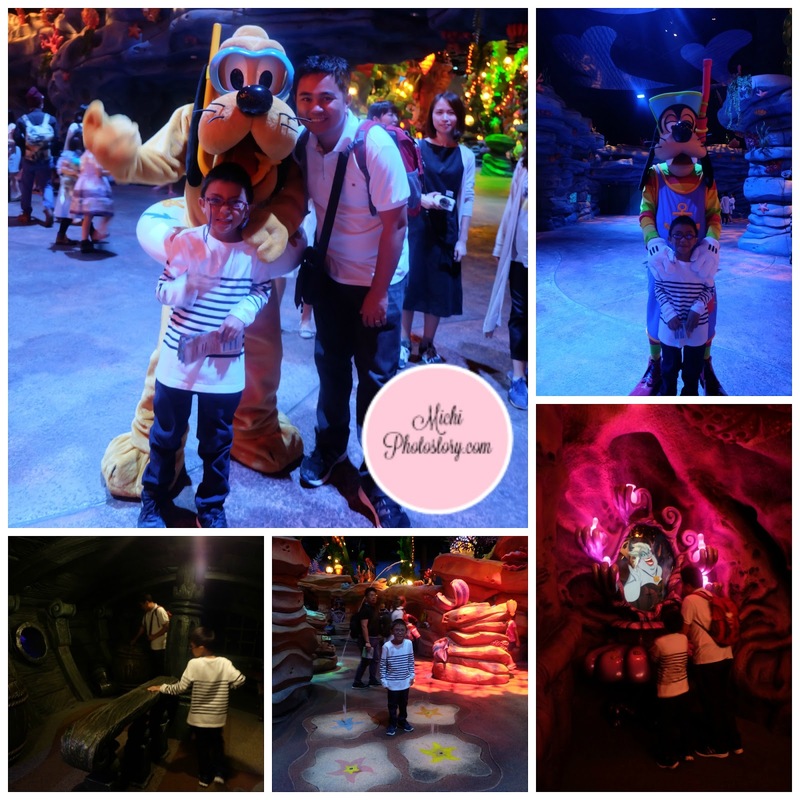 My son loves to see different animals and he always watches Nat Geo Wild so I added zoo in my itinerary. 600 yen is the entrance fee and 12 years old below is FREE. The zoo is huge, clean and well maintained. You will notice that the animals are well taken care of. 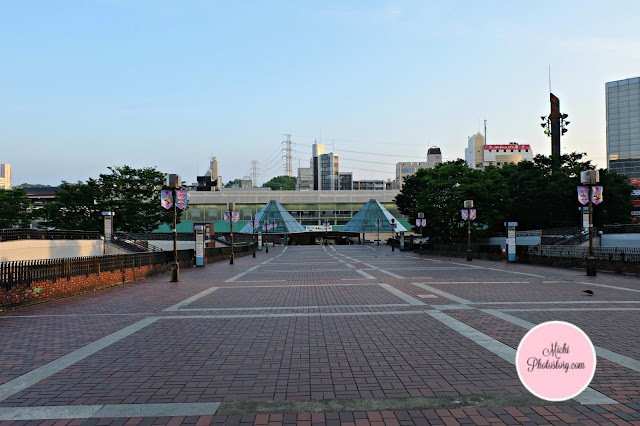 Just in front of Tama Zoological Park is Keio Rail-Land Museum. A unique theme park for train lovers. 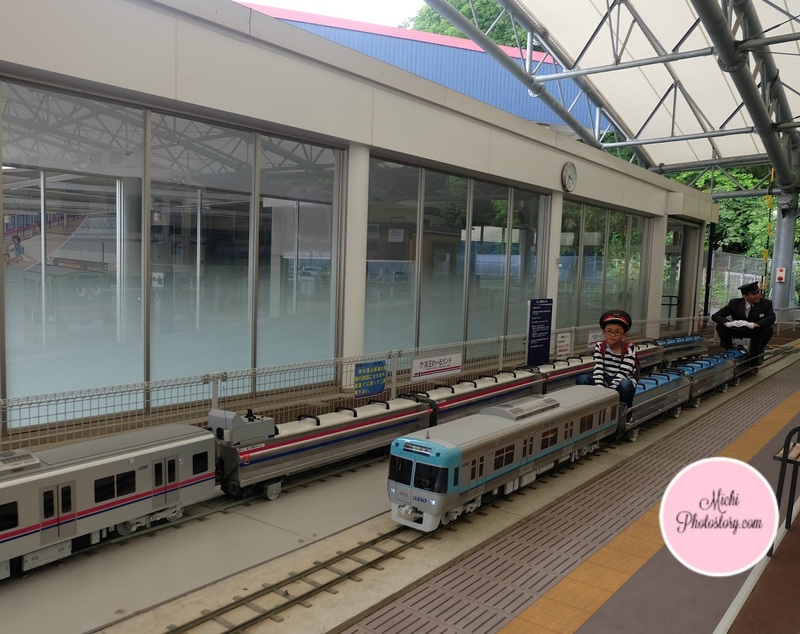 It is a nice museum where you can play trains for only 250 yen. 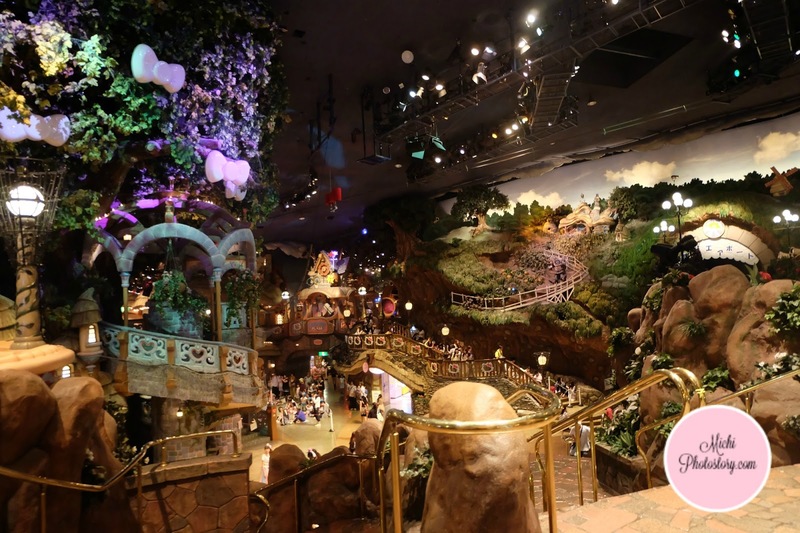 There are activities with a fee like train diorama and train ride for 100 yen each. 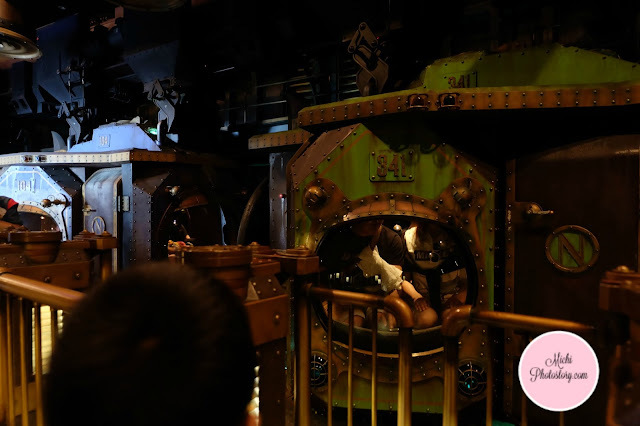 Since I wanted to avoid train transfers, I replaced Kidzania Tokyo to Takahata Fudoson Temple. There is no entrance fee for this tourist spot so tipid. 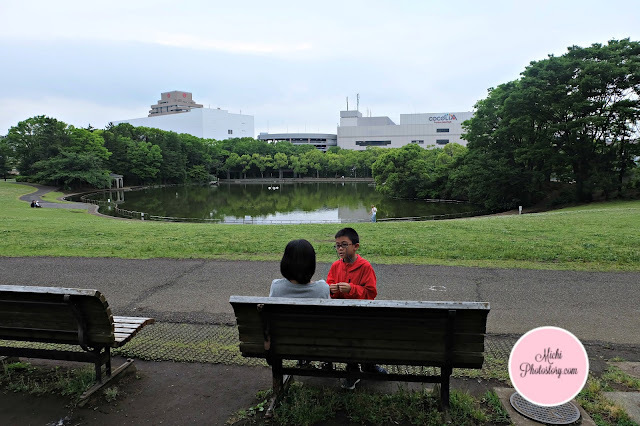 We rode the train again to Showa Kinen Park because I promised my son that we will ride a boat. So even our feet were aching and tired, we need to pedal our boat, yes my son chose a pedal boat, ayaw niya mag row, row row your boat. Waah! 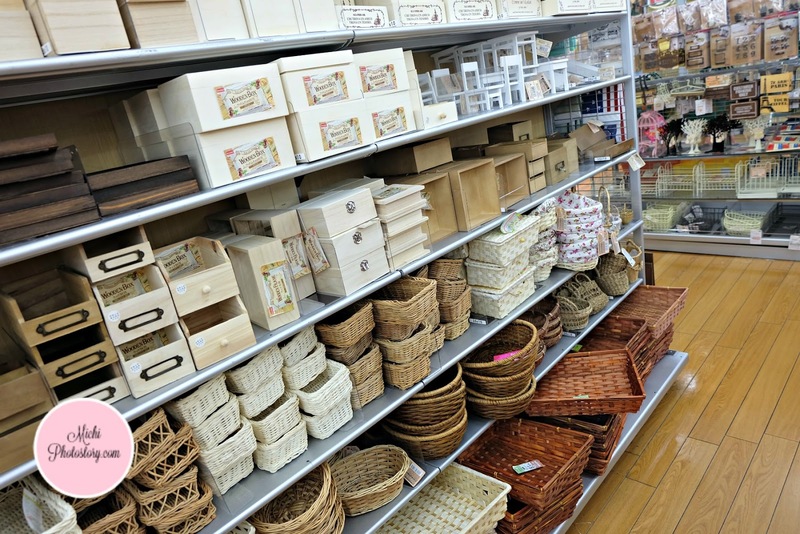 IKEA Tachikawa IKEA is not on my itinerary because I really have no idea that there is an IKEA in Japan. I was so glad when I saw the building on our way to the park because I’ve been meaning to visit IKEA since I was a kid. As promised to my son, we will visit Tokyo DisneySea after my husband’s training. So even the travel time is more than two hours from the hotel and the price is steep, we still push with our plan. 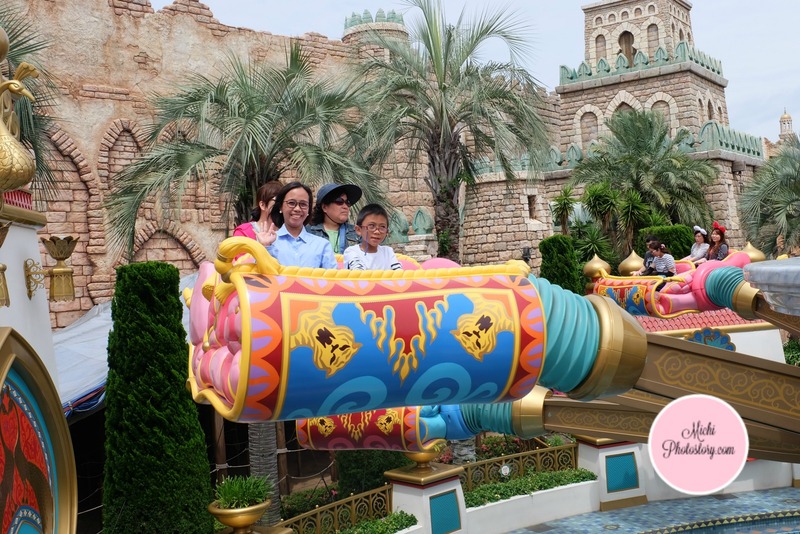 It is the most expensive theme park that I have visited in Asia. 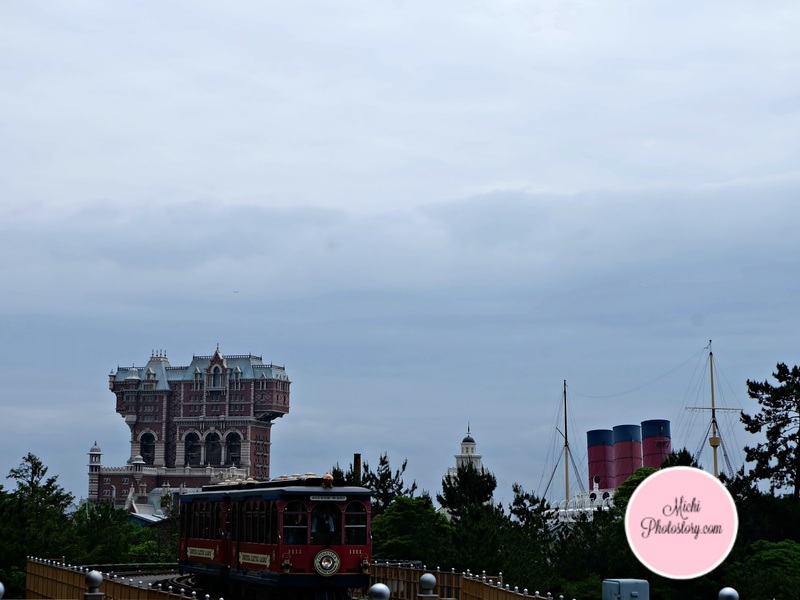 But like I said if you have kids in tow, trip in Tokyo Japan is not complete without visiting DisneySea or Disneyland. Though we already have a planned itinerary, I’m always open for changes. I’m not very strict that we need to do or follow my itinerary. My itinerary is just my guide because I want everything to be organized. Since we’re getting old, we canceled our day 6 itinerary and decided to rest. Oh yes, we wanted to sleep and rest our aching feet and legs. I hate to admit, namatay isang kuko ko sa kakalakad so I need to invest in more comfortable shoes. Hehehe! 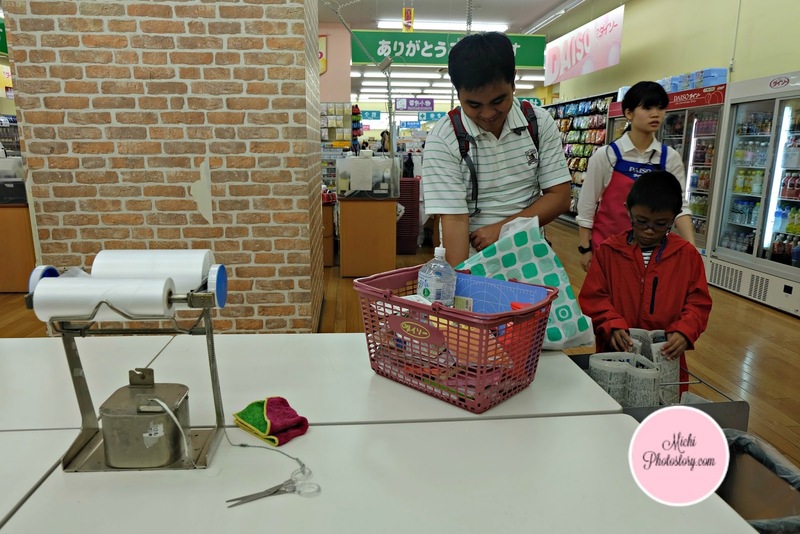 We took this chance to buy pasalubong at the nearest grocery and paid a visit to The Daiso. 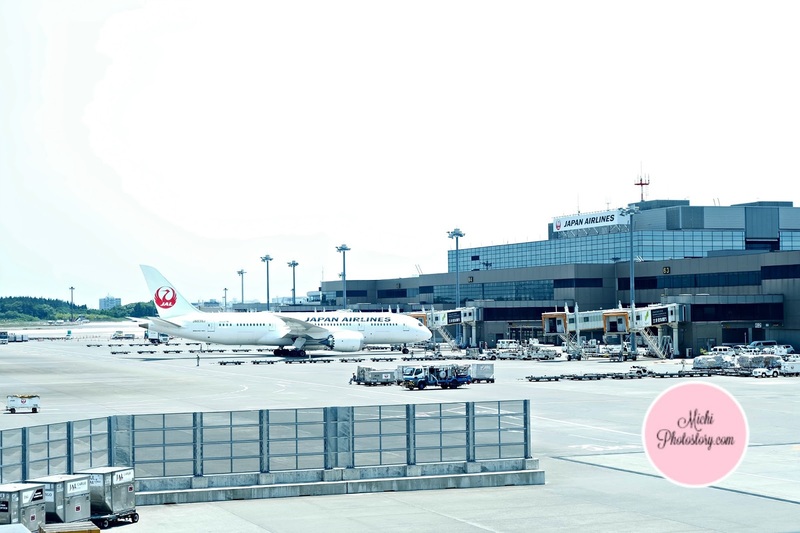 If only we can extend our trip but we have to say goodbye to Tokyo, Japan. We really had a good trip and according to my son, it is our best vacation ever. Hehehe! 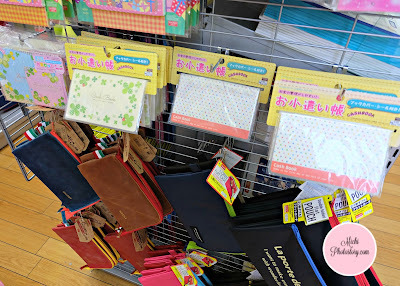 I’ve learned a lot in Japan and I still have one remaining post in my Japan series. I'll give you an idea what to expect if you will travel to Japan. Don’t forget to buy Royce Chocolates at the airport. 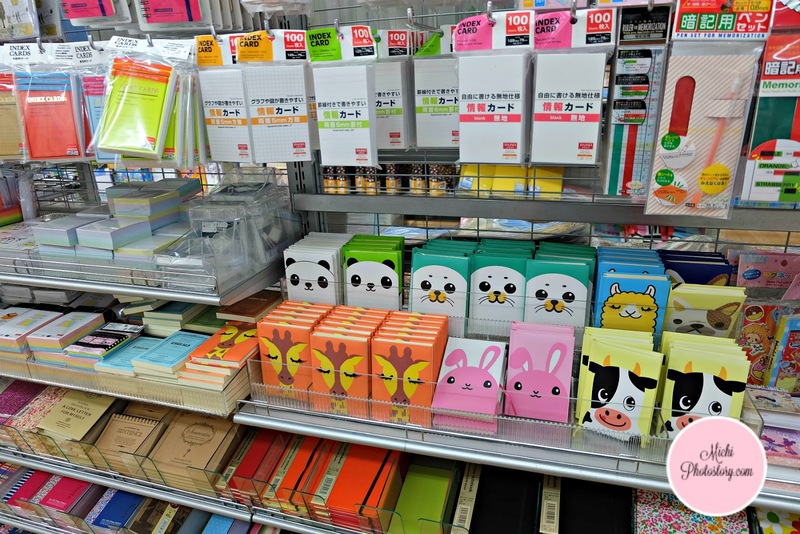 As I mentioned in my previous post, I’ve seen Daiso on our first day in Tokyo, Japan. 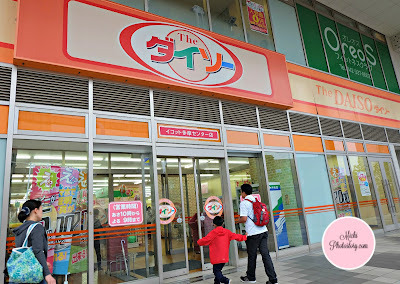 It is just walking distance from the hotel and you will passed by this store on your way to Sanrio Puroland. 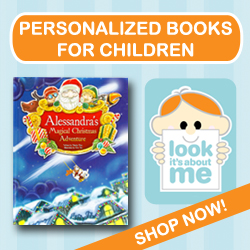 I did not bother to check it because it is available in the Philippines. But since we canceled our itinerary for day 6, we had our chance to visit the store. 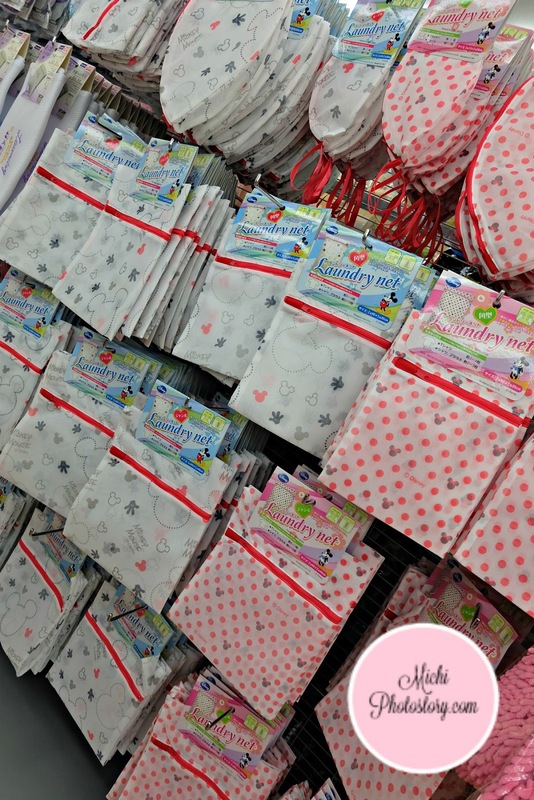 Daiso is a large franchise in Japan and there are 2800 stores nationwide so I’m pretty sure you will see this everywhere. It offers a wide range of products for only 100 yen or 108 (with tax) so it is really cheap. And because of the 108 price, even I have no plan of buying anything, I did not leave empty handed. 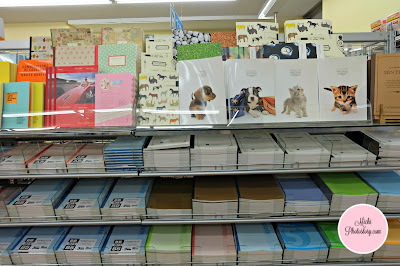 #wasteland Mura pa rin compared sa P88 natin dito. 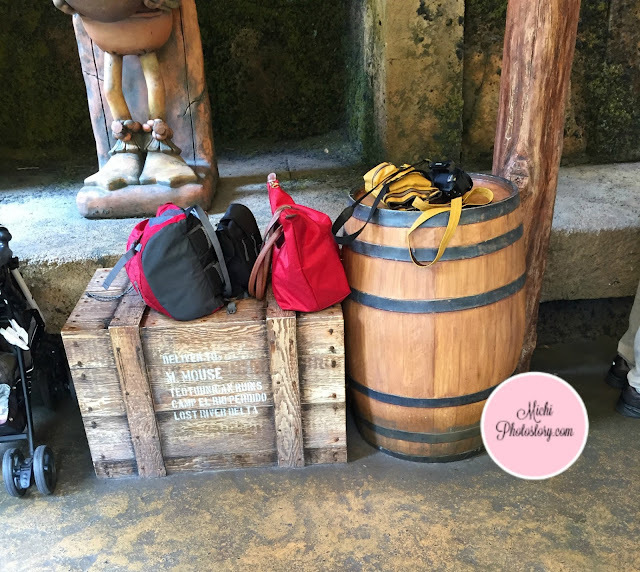 Again, there is no bagger so we have to pack our own stuff. I wanted to buy more but I have no more space in the luggage, good thing I have ecobag so handcarry na lang ibang napamili. Here are my shopping hauls. My husband bought one polo and nanghinayang siya kasi ok naman pala, P300+ lang pagconvert to peso. Natakot kasi na baka magshrink after iwash kaya isa lang binili. Hehehe! You will no doubt be very familiar with the need to eat healthily in order to look after your body and stay in good shape, but it is also just as important to enjoy what you could describe as a balanced mind-diet. Family favorites like card games, are great for having some fun and friendly challenges against others, but they also serve a great purpose in keeping your brain sharp. 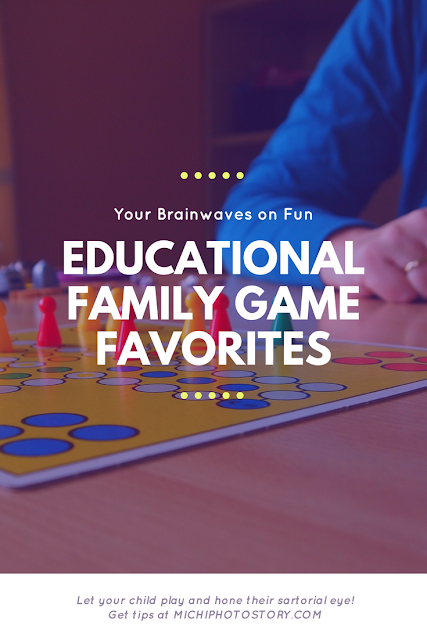 Here is a look at some educational family games that tick most of the right boxes in terms of providing you with some good entertainment, as well as stimulating your brain and keeping that gray matter working hard. Mensa arguably exist in order to celebrate the achievements of a great mind and to encourage everyone to use what they have got and to test the boundaries of their brain power. The Mensa Mind Games competition challenges games manufacturers to put forward their ideas and to produce a game that judges will put to the test in order to find which ones may be worthy of their seal of approval. Previous winners include the highly-acclaimed Trivial Pursuits and as you might imagine, competition is stiff. 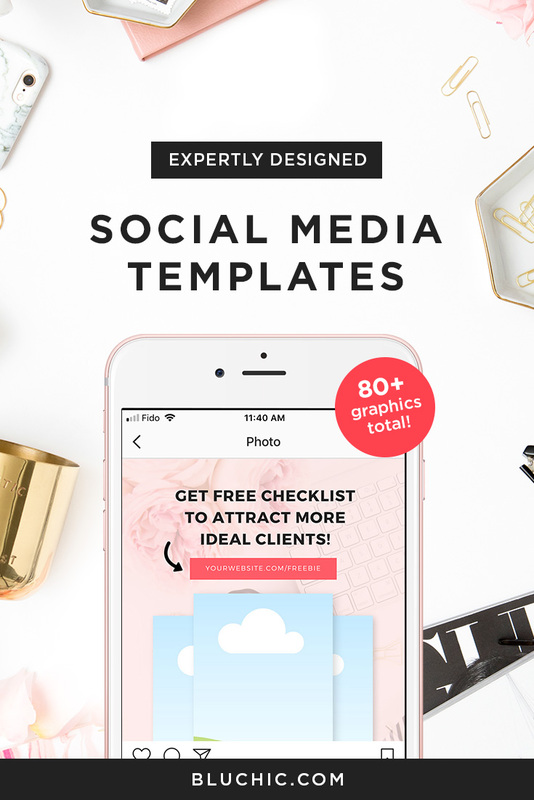 The good news for consumers and avid game players of all ages, is that there are constantly new challenges to experience, featuring ideas for board and card games. 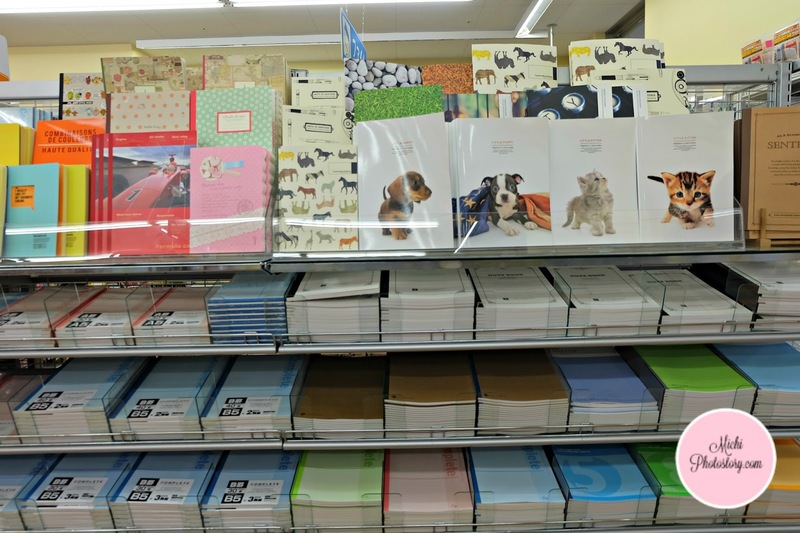 Mensa have been reviewing new games for the past 20 years, and there is a good chance that you will have played some them, as they have become family favorites across the nation. A past winner, Scattergories is described as a creative-thinking category-based game that first came to light back in 1988. Although the objective of the game is relatively simple, which is to score points by uniquely naming objects having only been given an initial letter as a reference point, it requires a good ability to think quickly, if you are going to emerge as the winner. You can also get a fast-paced card game version of Scattergories, for a rapid-fire test that ends when the deck is exhausted and the cards you hold are counted. If you don’t like getting stuck in a traffic jam, perhaps if you hone your problem-solving skills by playing the popular Rush-Hour game, you might be able to negotiate a way out of the jam more easily in future. The point about this game is that it is designed to challenge beginners and experts in equal measure, so the better you get at solving the problems, the harder the puzzles become. Rush Hour is billed as an educational game as it aims to develop your problem-solving and critical-thinking skills as well as entertain you in equal measure. Introducing your children to educational games will not only entertain them but it will teach them some valuable skills as well. Robot Turtles is a good example of the sort of modern game that reflects the modern childhood environment, as it is aimed at encouraging kids to learn and develop some early programming skills. Card games and board games alike, you can find plenty of ways to challenge your mind and develop some useful skills that could even make you hard to beat with enough practice. Rachael Hancock is a keen gamer, particularly of online games she can play on her phone or laptop. A Mom of two she encourages the little ones to play educational games so that they can learn whilst also having electronics time. We were lucky that our hotel has a strategic location, you will really not go hungry here because there are several restaurants around the area. The only problem is we are not sure if the taste and price are good. My husband asked his officemate for recommendations. 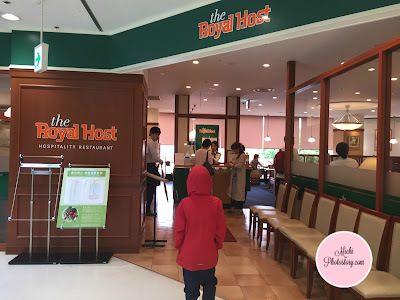 One evening, my husband went to The Royal Host restaurant. They have a different menu for take out and dine in food and my husband ordered this. We were satisfied with the food so we had lunch here on our sixth day. The Royal Host, The Hospitality Restaurant is a family restaurant which serves Japanese, Western food and European food. The interiors look simple yet cozy, I noticed that most of the diners are families or group of friends. 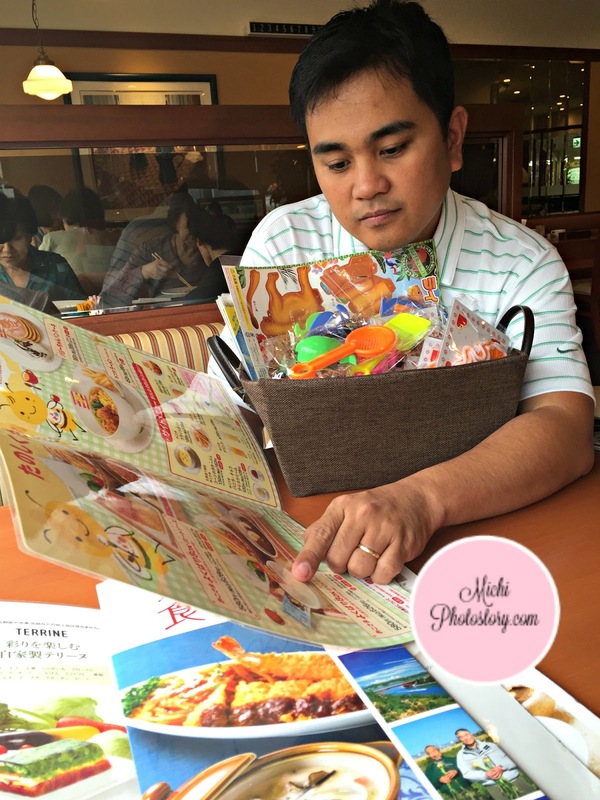 We took our time in browsing the menu. Good thing that they have a menu for kids and just like other fastfood, there is a free toy per meal. The staff even asked the size of the rice, small, medium etc. I only ordered small size since I can only eat 1 cup of rice. My husband ordered medium, ang dami pala. Hehehe! But even you ordered the biggest size of rice, the price is still the same. 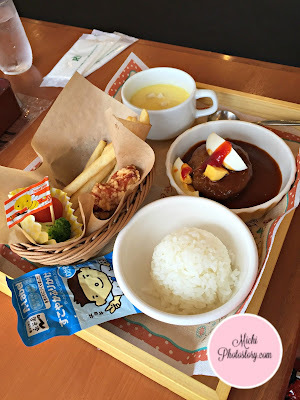 We were surprised with the serving, it was really huge especially for the kid’s meal. My son was not able to finish his meal. The taste is good and the price is very reasonable. I can’t remember the exact price but if I remember it right, the total price is not close to P1500. 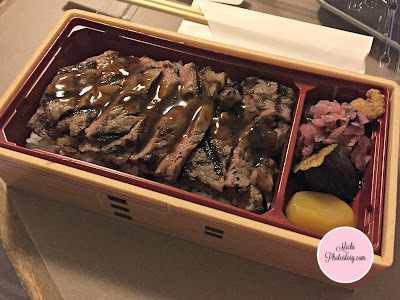 The service is also good, the staff immediately refill our drinks even without asking. 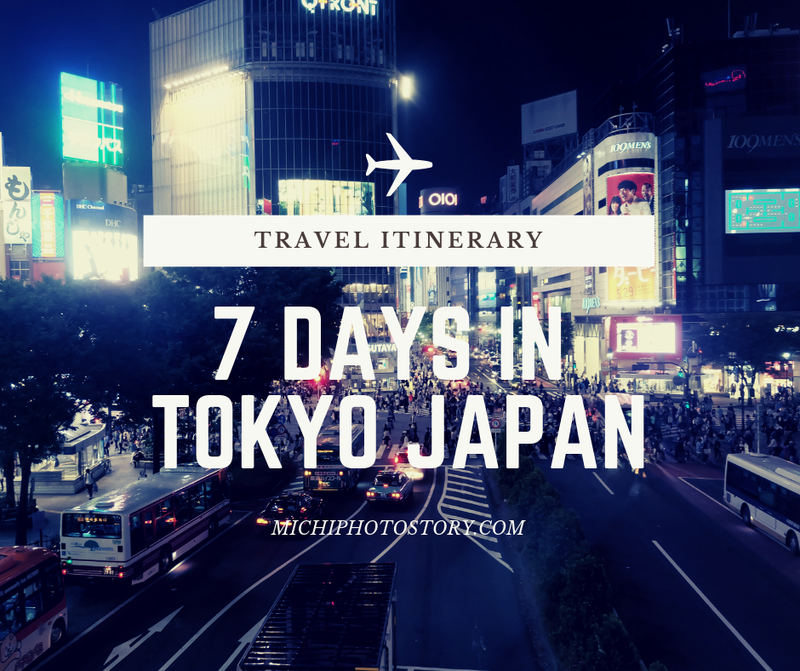 Day 6 is also our last day to enjoy Tokyo, Japan because we had an early flight the following day. Initial plan is to stay till Sunday para sulit but my husband needs to be in Indonesia by Sunday so we need to go home na ng Saturday. Anyway, I have three choices for Day 6 so it depends on the weather and our stamina. We wanted to see Mt. Fuji so we planned to avail the Hakone Free Pass Tour but if the weather is cloudy, we will just go to Tokyo Disneyland or Fuji Shibazakura Festival. 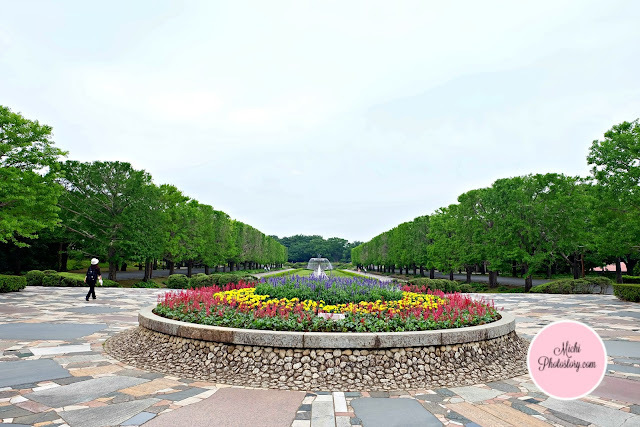 But on our third day in Japan, my husband’s officemate learned about our plan, he said that the entrance is already free kasi naglalagas na daw ang mga flowers. Maybe because it is already the last week of the festival so we already removed this to our choices. Sayang naman kasi baka hindi na rin maganda at may mga kalbo na part. When we woke up, it was raining so I was really grateful to God for giving us good weather from Sunday to Thursday. 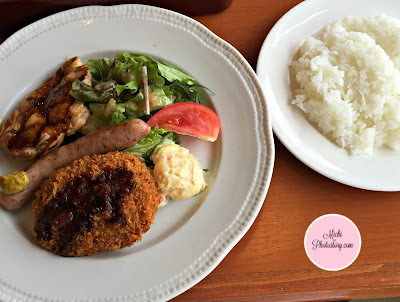 It was really bed-weather so we had late lunch at The Royal Host. 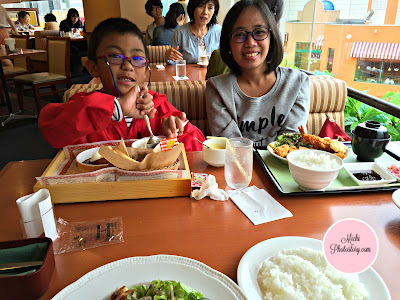 Good thing Keio Plaza Hotel Tama is close to everything so even it was raining, we were still able to visit malls and park. Since we cancelled our day 6 activity, we have extra budget for pasalubong. 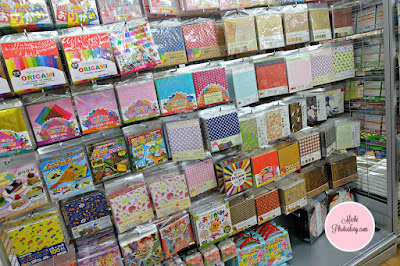 We did not bother to go to Don Quijote Akihabara anymore since we will not buy a lot of pasalubong. The train fare is also expensive and ayaw na nga namin maglakad ng malayo. Hahaha! 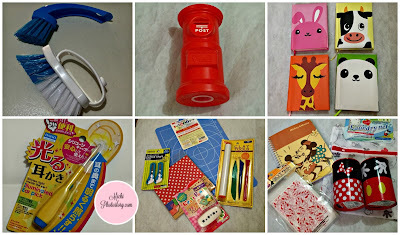 If you like collecting bento stuff, ang dami dito. 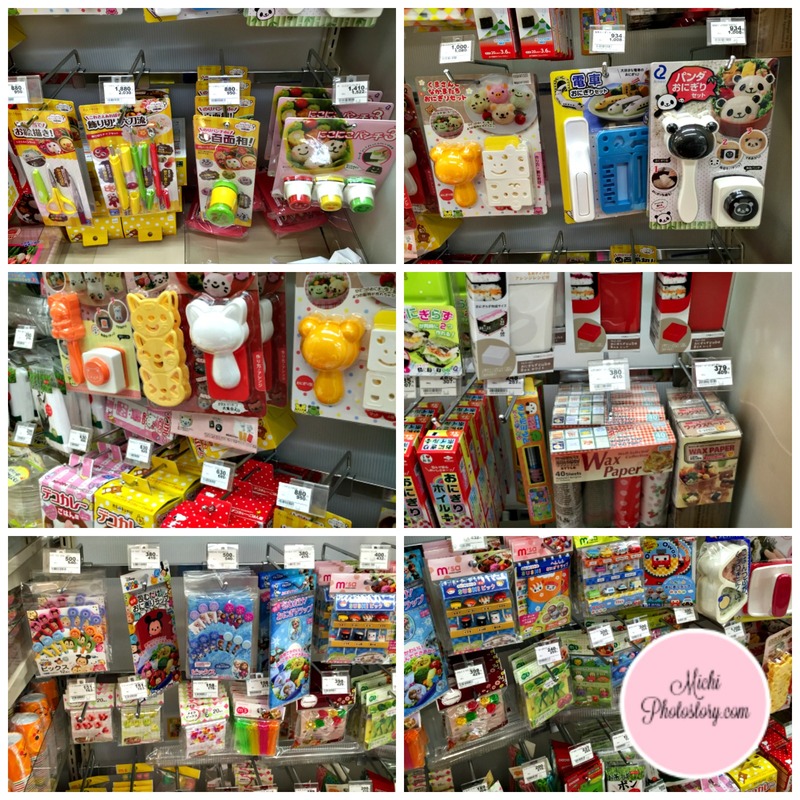 Side story: I bought Tomica Cars at Sanrio Puroland because I know that there are limited designs in the Philippines so imagine my reaction when I saw Tomica Cars in the mall. 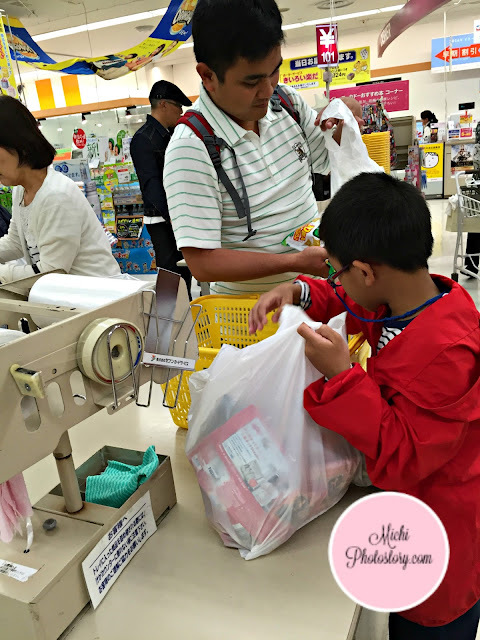 Waah, I bought Tomica My Melody at 796 yen and 580 yen lang dito. Akala ko pa naman nakamura na ko. I also checked Uniqlo store but there was no sale so I did not buy anything. Then we went to grocery, one thing I noticed here in Japan, there is no bagger so you have to pack your own stuff. The cashier gave me one plastic bag and she asked me if I need two (sign language lang ulit) and I said yes naman. When I checked my receipt, kamote may bayad pala yung plastic. Ang hirap ng may language barrier. hehehe! Ok, next time, I will bring ecobag. 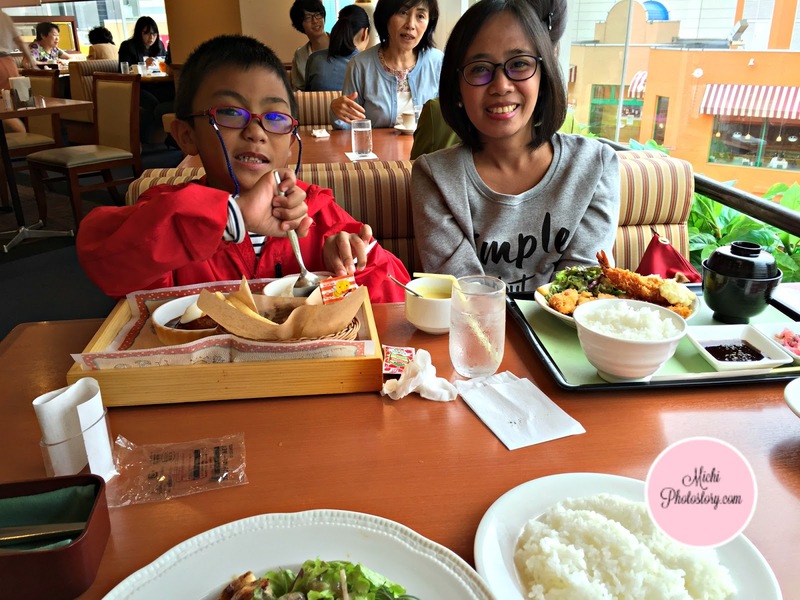 We went back to the hotel to drop our groceries and off we went to Tama Central Park and Parthenon Tama. Japan likes park, I wish we also have park like this where you can unwind and relax without spending money. 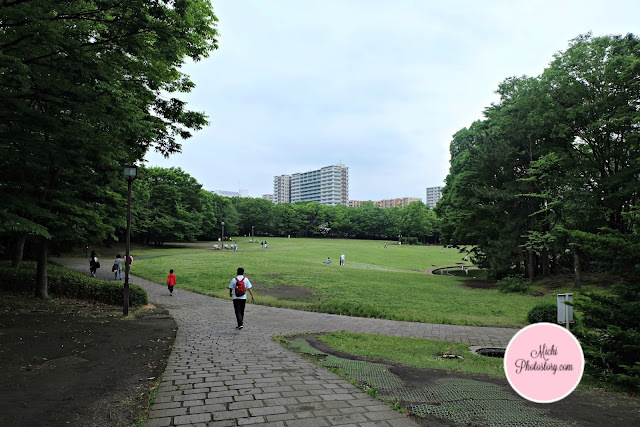 I’ve seen houses and residential buildings near the park, so the people are so lucky because they can just go to the park if they want to walk, jog or kill time. 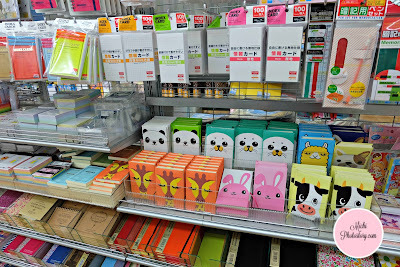 I’ve seen The Daiso on our first day in Tokyo, Japan but I did not bother to check it because we have Japan Home here. But since we have nothing to do, we paid a visit and even I have no plans in buying anything. 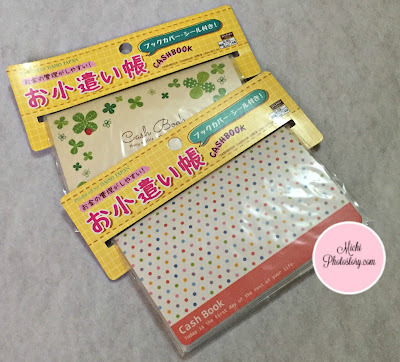 May nabili pa rin ako, 108 yen lang kasi, cheaper than the P88 rate here. 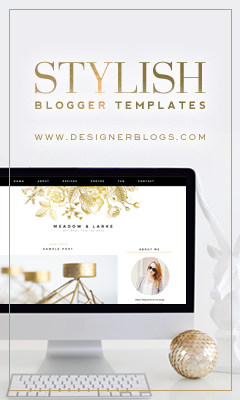 I will share my shopping finds on my next post. 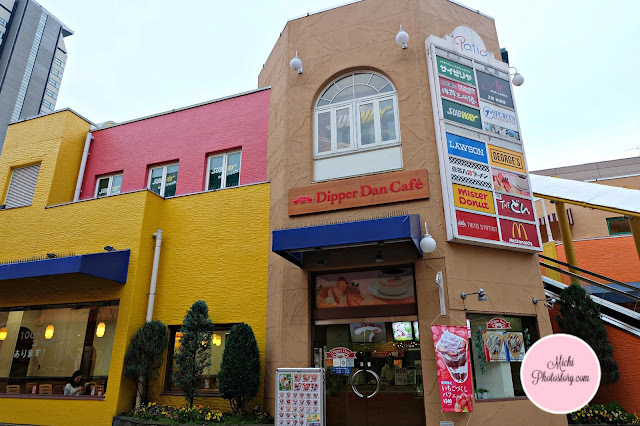 If you visit Sanrio Puroland, don’t forget to eat crepe at Dipper Dan Cafe. The crepe is really good, I wanted to buy pa ulit kaso tinamad na bumalik kasi umulan na ulit. Hehehe! 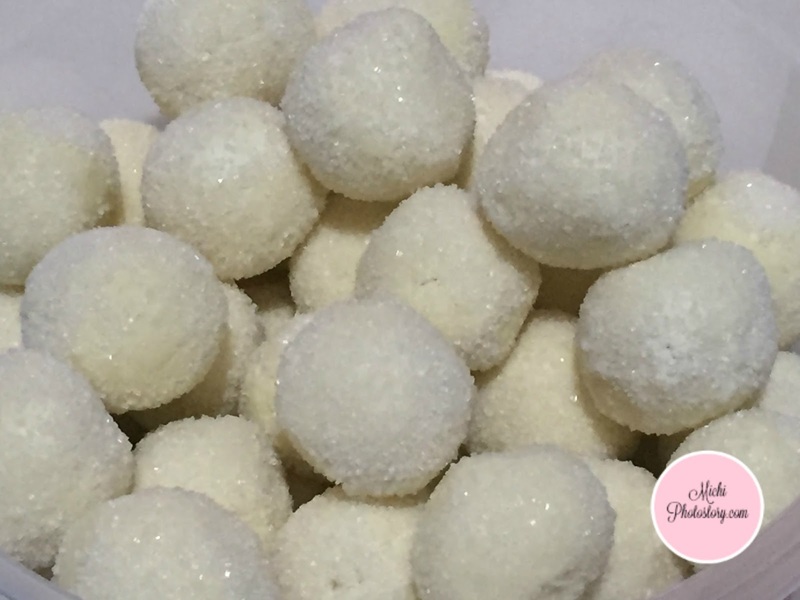 Pastillas de Leche is a milk candy, of course it is made of leche or milk. We love pastillas de leche but this milk candy is not cheap if you buy this in pasalubong store so even I like this, I seldom buy this milk candy. Yesterday, I made Pastillas de Leche after tutoring my son. I have skim milk that I haven’t used and it’s in the fridge for so long so bago mag-expire, gamitin na. I bought this because I wanted to make polvoron but I realized pastillas de leche is much easier because I don’t need to cook. Yes, I’m so lazy. 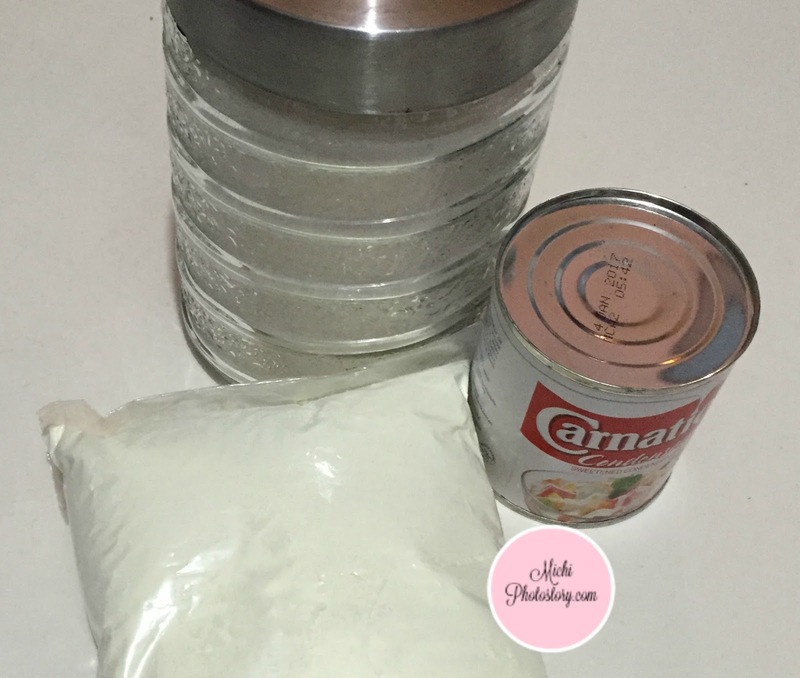 Lol The nice thing about No Cook Pastillas de Leche recipe is, you only need 3 ingredients. 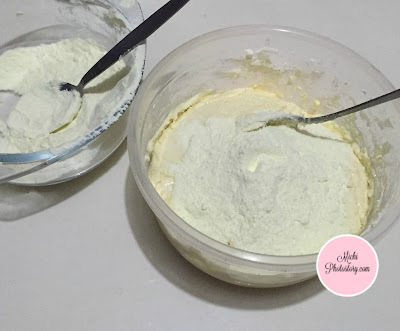 All you need to do is mix the powdered milk and condensed milk. I pour the powdered milk per cup so I can mix it well. I thought mixing would not be a problem pero need mo rin ng effort because it is super sticky. After mixing, you can already form balls or tube but I decided to chill the milk mixture in the fridge for 15 minutes. But I almost forgot about it so, mga 45 minutes siya nasa fridge so when I was forming balls, matigas na siya. Lol! 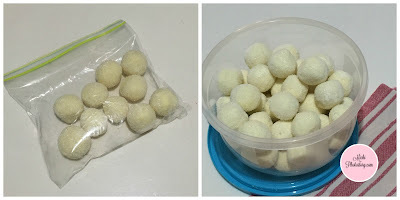 But still I was able to form balls and my son helped me in making pastillas. He is in charge of rolling the pastillas in the sugar. 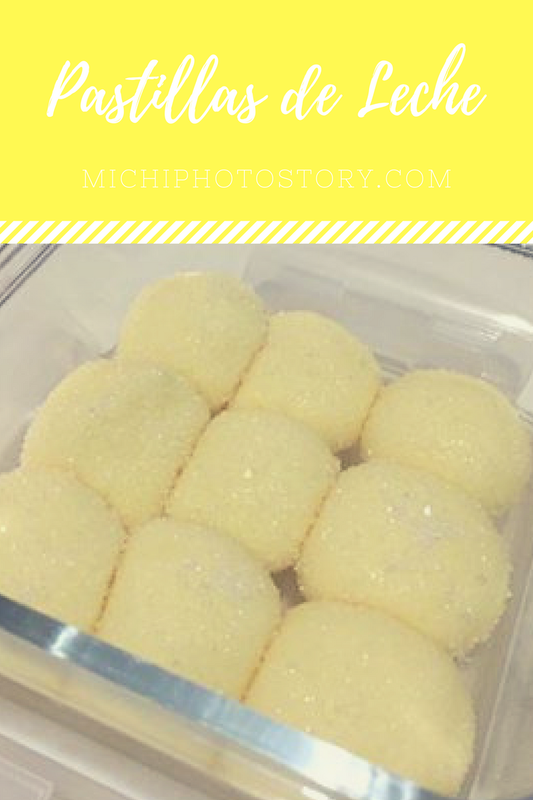 This is a good bonding with your kids, you just need to practice self-control while shaping and rolling pastillas because you can’t help but eat the pastillas. 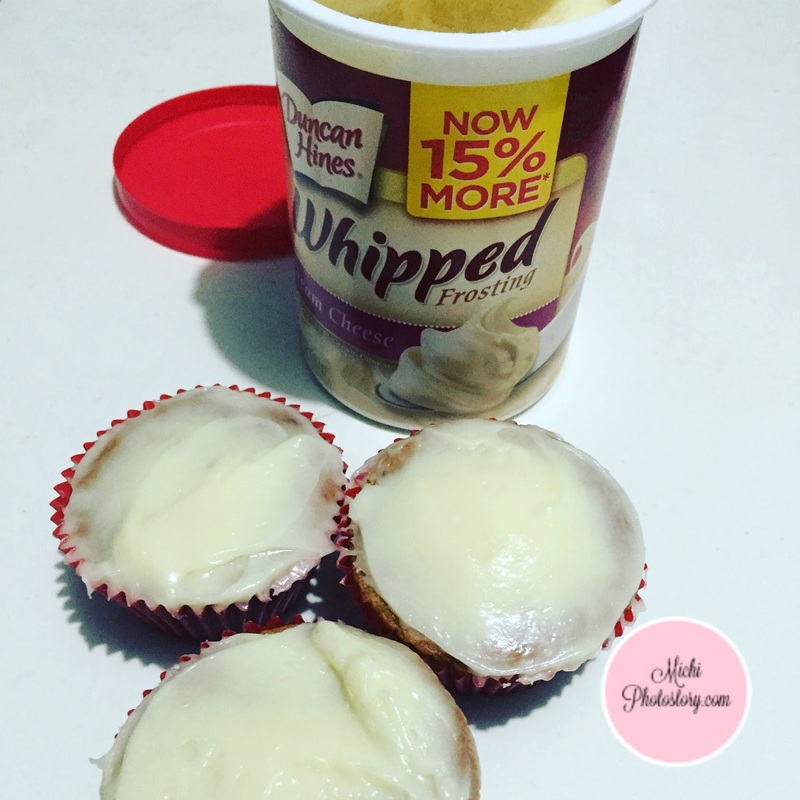 Store it in a container or put it in a sandwich bag for baon. I used powdered milk (Alaska) and I chilled it more or less 2 hours so I can form it into different shapes. My son prefers the skim milk kasi mas matigas while my husband prefers the powdered milk kasi malambot yung pastillas. I made pastillas again so my son will not buy in school. Hehehe! It’s been awhile since the last time I cooked steak at home so last Sunday I pan-grilled steak. It is supposed to be medium well pero naging well done. Hehehe! Anyway, I remember the IKEA Graddsas Cream Sauce that I bought in IKEA Tachikawa so I prepared this also. It is a versatile sauce that you can use for meatballs, beef or pork dish. I just followed the recipe at the back, you need water, cream and 1 pack of cream sauce. Mix and simmer the sauce for 3 minutes. I’m not sure what kind of cream so I just used cooking cream. 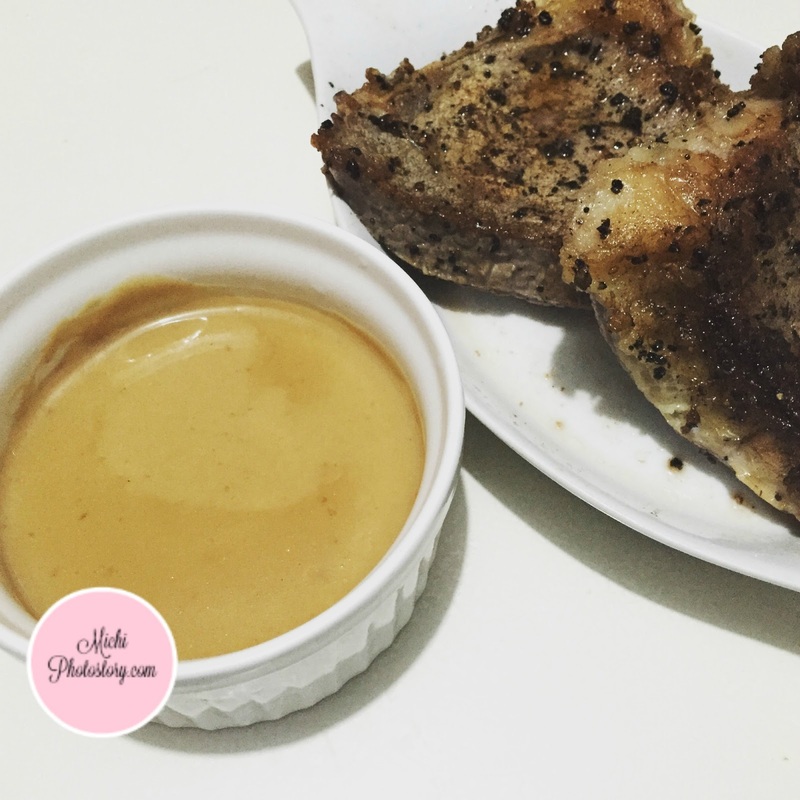 We all enjoyed the Graddsas cream sauce, ginawang sabaw ng anak ko yung sauce sa kanin. Hehehe! Too bad I only bought 2 packs. 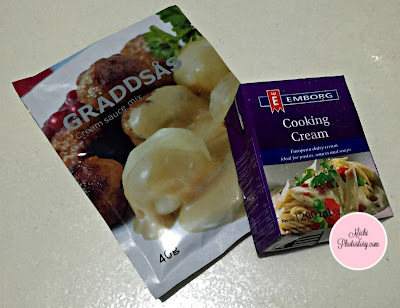 We liked this sauce compared to the Gravox sauce that we’ve tried before or maybe because we prefer creamy sauce. 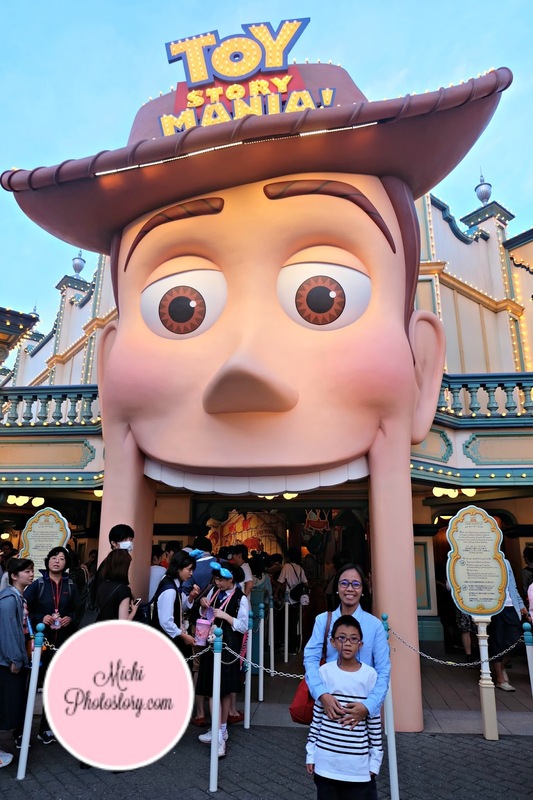 If you have kids in tow in Tokyo Japan, a trip would not be complete if you will not visit the happy place on Earth which is Disneyland. 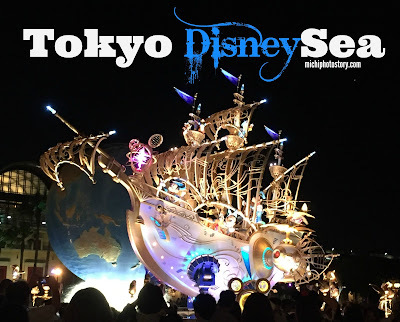 There are two Disney theme parks in Tokyo, Tokyo Disneyland and Tokyo DisneySea. 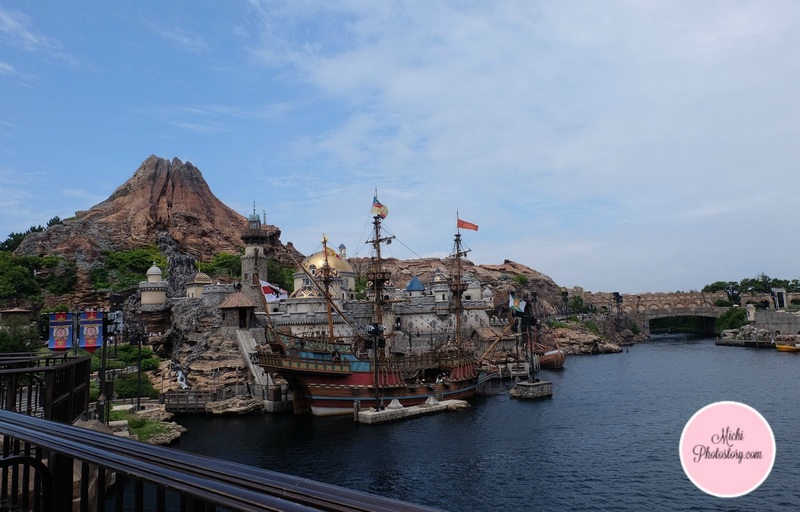 Tokyo DisneySea is a unique theme park, because it is the only DisneySea among the six Disneyland theme park around the world. We’ve been to Hongkong Disneyland, so we chose Tokyo DisneySea this time. Day before our Disney Trip, my husband inquired if we can ride the Good Neighbor Shuttle Bus to Tokyo Disney Resort in Keio Plaza Hotel Tokyo. But we were advised that it is only for the guests in Shinjuku and it was fully booked already. 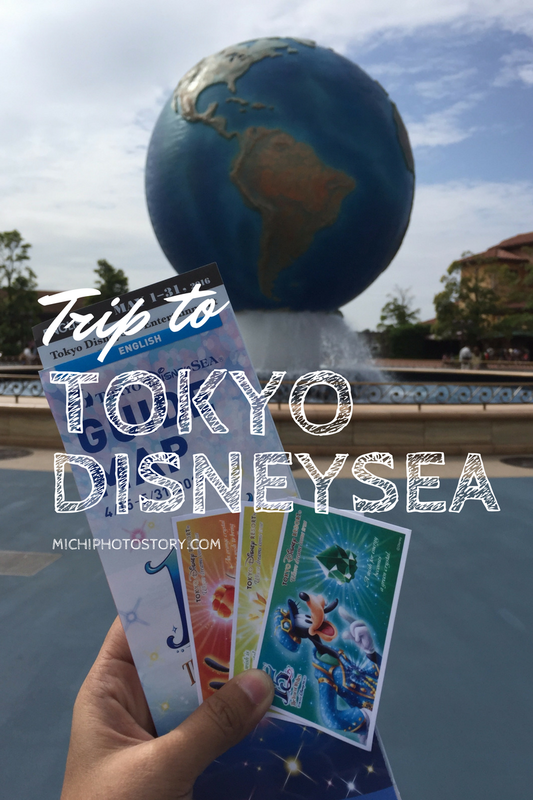 So they gave us a map and instructed on how to get to Tokyo Disney Resort from Keio Plaza Hotel Tama. Sayang, it is complimentary ride pa naman. According to app, travel time is around two hours so we wake up as early as 4AM. You can see that the sun is starting to rise so Japan is indeed the Land of the Rising Sun. We ate light breakfast (bread) and left at 5AM to avoid the morning rush. Directions: Walk to Keio Tama Center South Exit. Ride Keio Sagamihara Line Express for Shinjuku. Get off at Shinjuku and ride the train to Tokyo. Get off at Tokyo and ride the train to Maihama. 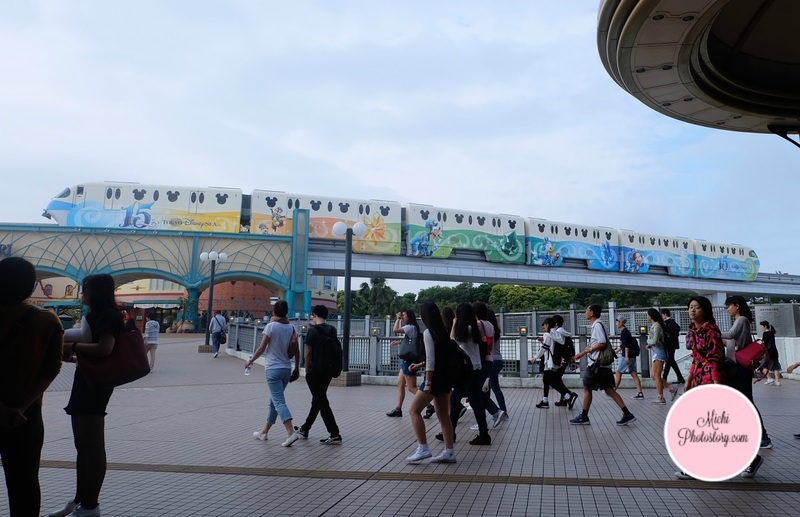 Get off at Maihama and ride Disney Resort Line to Tokyo DisneySea. 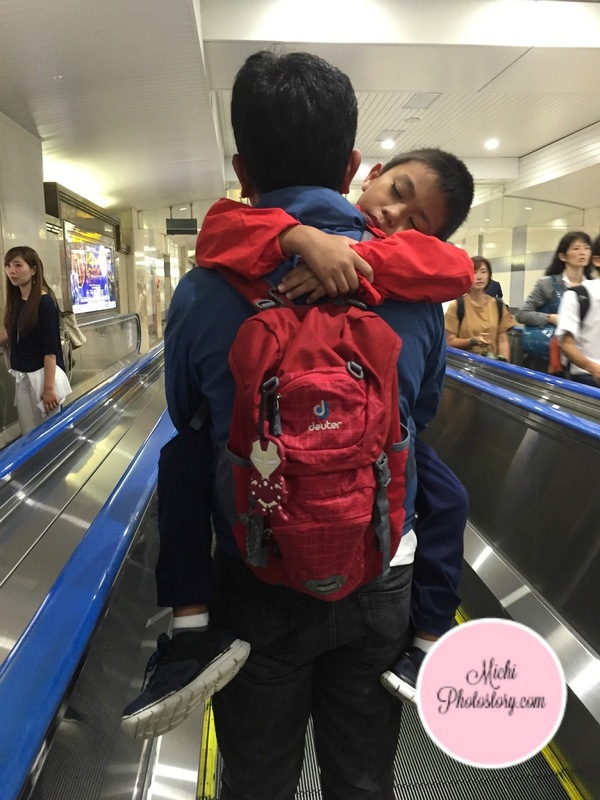 The fare is 1000+ yen each, half rate for kids, one way. The directions look so easy, I thought we won’t be having a problem since we’ve been riding trains for the last few days. But I was wrong, when we get off at Shinjuku, we don’t know where to go. We need to get out to buy tickets and we don’t even know san lalabas. Toinks! We asked the staff and he just said “8”. At first hindi namin gets kung ano yung 8 so we checked the map and information. 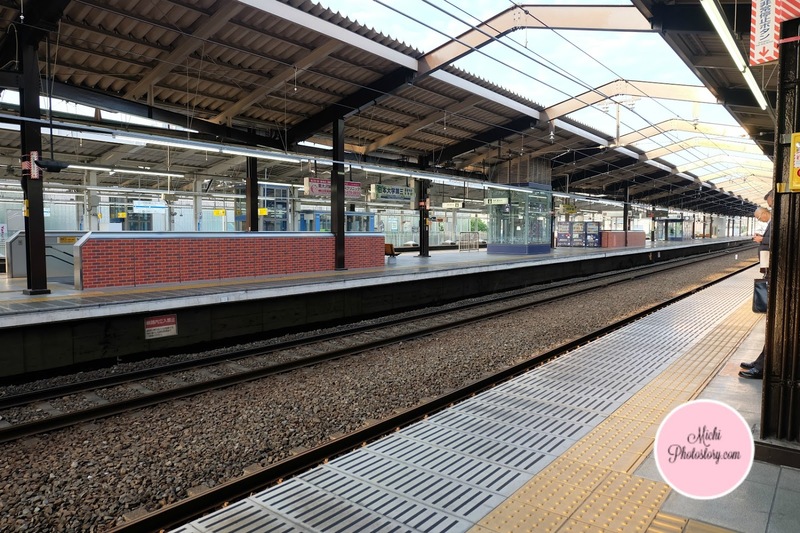 I think there are 10 connecting trains (correct me) in Shinjuku so we need to look for Gate 8 (whatever do you call that). It was a looooong walk even there are walkators, nakakapagod pa rin. So we rode the train going to Tokyo and then transferred train to Maihama. At Maihama, we just went to the counter to ask help for fare adjustment because the tickets that we bought is only for Tokyo. They gladly assisted us and we paid the additional fare. The app said, it will take 2 hours but we traveled more than two hours and we still need to ride one more train. We ate breakfast again at Becker’s before riding the Disney Resort Line. Good thing we left early. At last, we’re finally here at Tokyo DisneySea. I was surprised when I saw the Ticket Fee because prior to the trip, I checked their price so nagmahal na agad o di pa updated sa website. Well, this is the costliest theme park that we’ve visited so far. The park is huge and we only have one day to explore it but we just take one step at a time as long as naeenjoy namin. 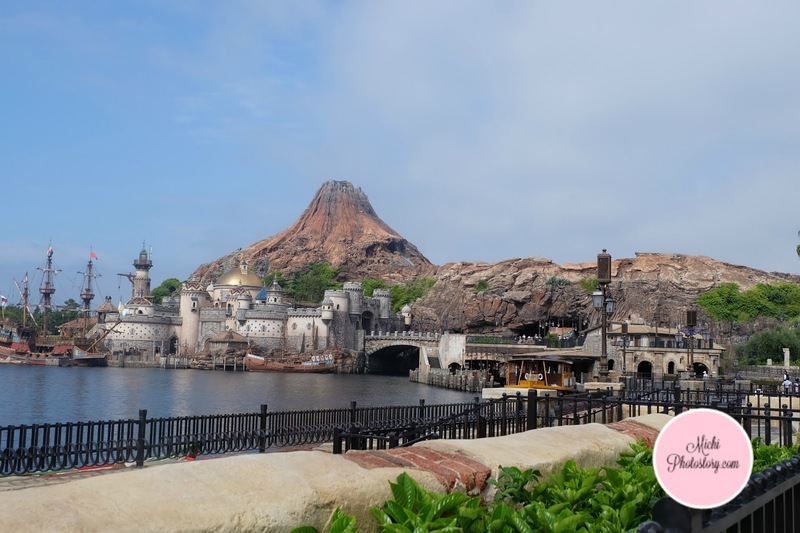 According to the map, the park is divided into 7 sections, Port Discovery, American Waterfront, Lost River Delta, Mermaid Lagoon, Mysterious Island, Arabian Coast, and Mediterranean Harbor. 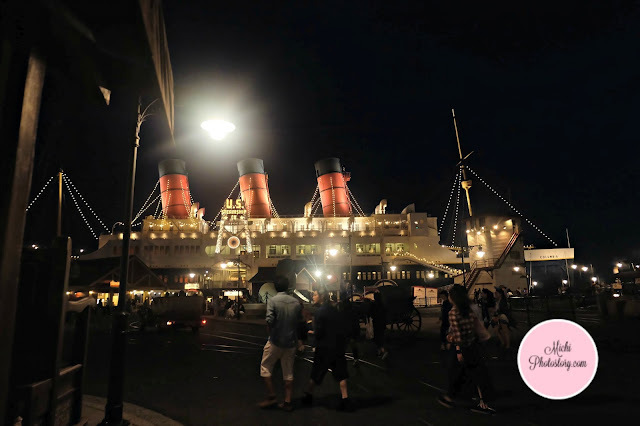 We started our tour in Mediterranean Harbor, we rode DisneySea Transit Steamer Line. We have no idea where it will stop, we just rode it. Hehehe! I appreciate this steamer especially if you're tired of walking from one attraction to another attraction. 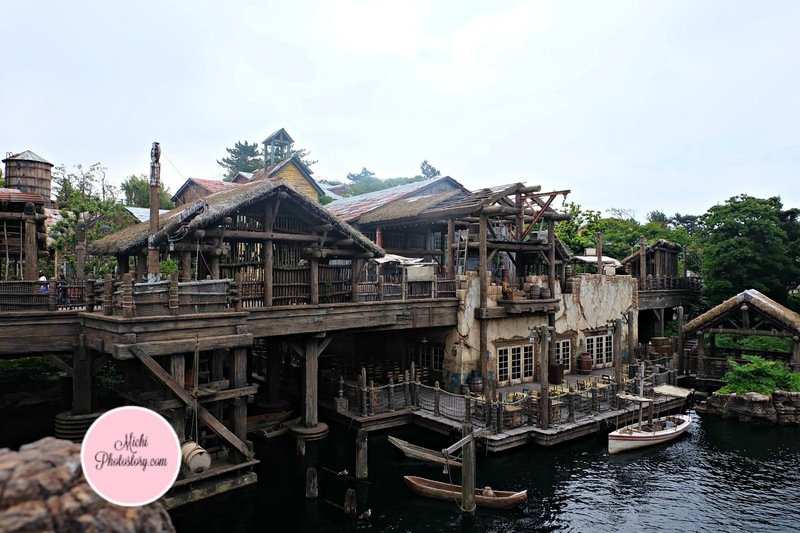 The steamer stopped at Lost River Delta. 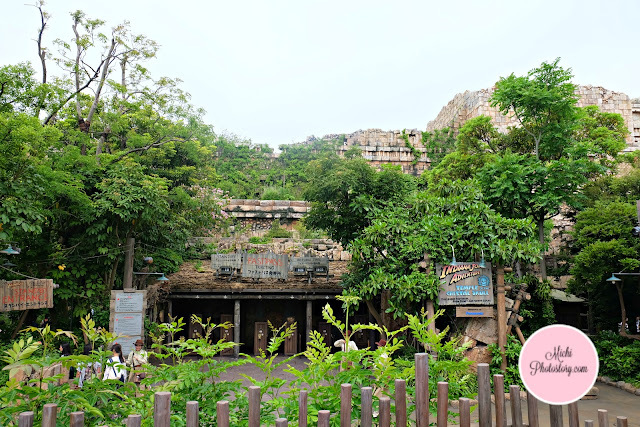 I’m not fond of scary rides so I did not join them when they rode the Indiana Jones Adventure: Temple of the Crystal Skull. They put a bracelet in my son’s hand after checking the height. I'm afraid that this ride is like Space Mountain of Disneyland. After their first ride, they told me that it is not a scary ride so I can try it. But I don't want to ride alone so I suggested to fall in line in Character Greeting, my son doesn’t like the idea because he wanted to go to different attractions but he has no choice, I want family picture. The only downside if you will not avail their photo package, they will only take one picture. Swerte mo na pag galante yung nagpicture sayo at more than one take or else no choice kung panget shot. hehehe! Side story: In Hongkong Disneyland, we always carry our bag during the photoshoot but in Japan, the staff told us to place our bags at the side. I remember our trip in Sanrio Puroland, I also leave my bag before picture taking. At first, hesitant ako because sa Pinas nga lang, nasa tabi mo na or hawak mo na ang bag mo, kinukuha pa, yun pa kayang 2 meters away from you. Lol. 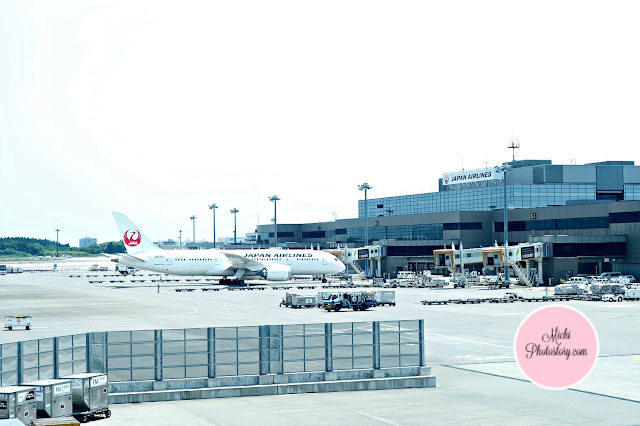 But in Japan, safe naman ang aming bag. There is Raging Spirits but we did not dare to ride. 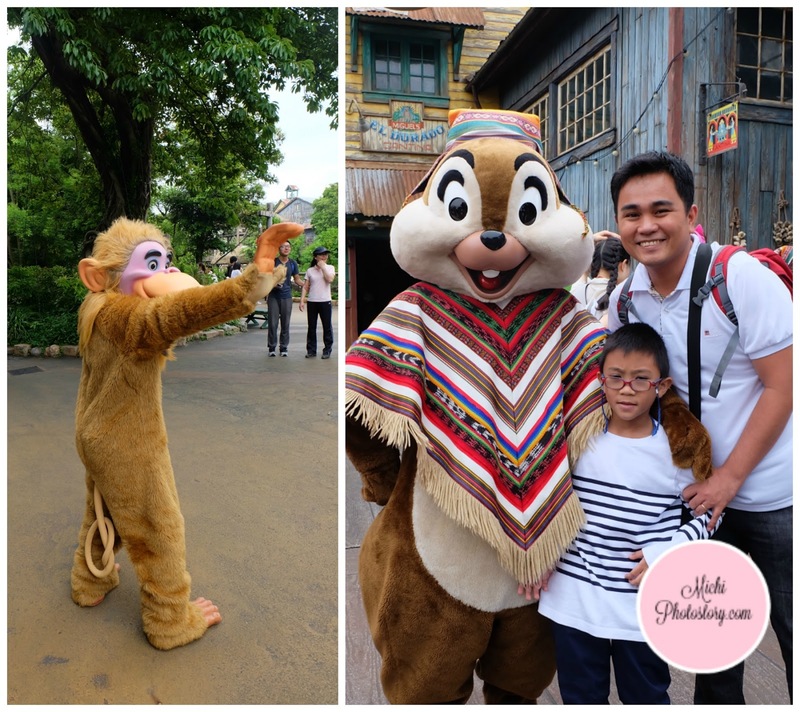 There are also characters that you will meet while exploring the park. 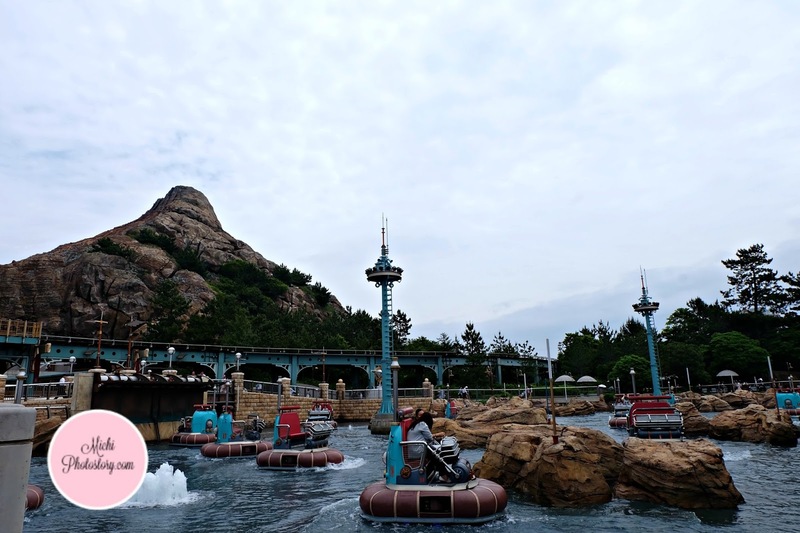 Then we moved to Port Discovery to ride the Aquatopia and Disney Sea Electric Railway. 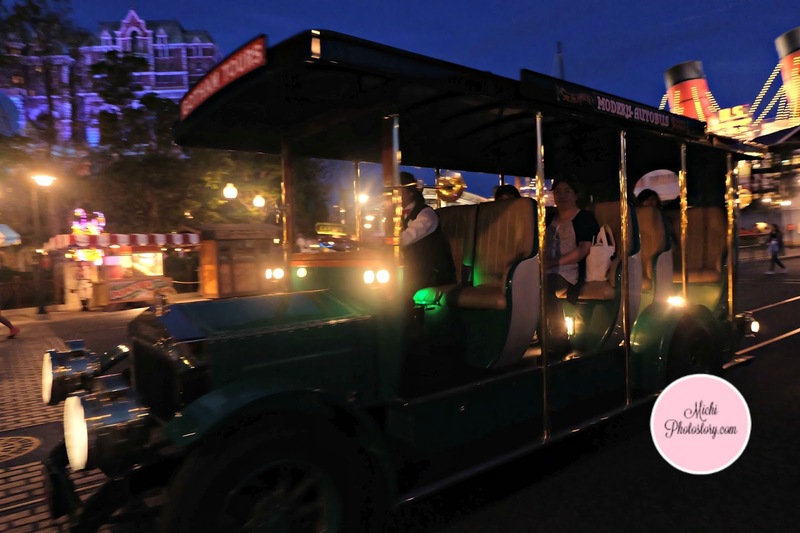 The electric trolley stopped at American Waterfront then we moved to Fortress Explorations at Mediterranean Harbor. There is even a separate map for this, you can see Pendulum Tower, Illusion Room, Explorer’s Hall, Navigation Center, Camera Obscurra, Sundial Deck, Chamber Planets, Flying Machine, Alchemy Laboratory, and Cannons. Sail a boat at Fortress Explorations for 100 yen. Then we moved to Mysterious Island and rode 20,000 Leagues Under the Sea. I was scared at first because it was really dark and you have no idea what will happen but it was a nice ride. The popular attraction here is Journey to the Center of the Earth, we skipped this ride because we love our life, baka maheart attack pa kami diyan. 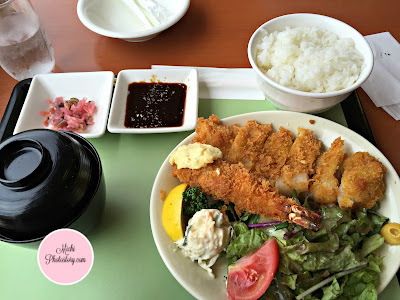 We’re just eating snacks from time to time but no heavy meals because the restaurants were full din during lunch time. So we moved to Arabian Coast and rode Jasmine’s Flying Carpets, Sindbad’s Storybook Voyage, Caravan Carousel and watched a show in The Magic Lamp Theater. Next stop is Mermaid Lagoon, this is the happiest place for kids because all rides are for kids. 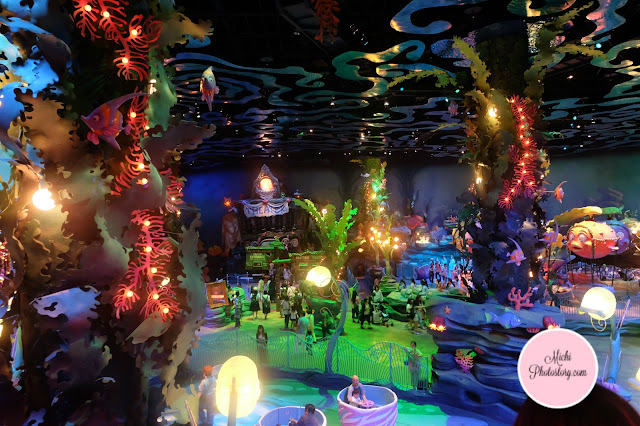 We rode Flounder’s Flying Fish Coaster, Scuttle’s Scooters, Jumpin’ Jellyfish. Blowfish Balloon Race, The Whirlpool and we watched a show in Mermaid Lagoon Theater. We still enjoyed watching a show even there is no English version of it. We checked Ariel’s Playground too. We ate at Sebastian’s Calypso Kitchen, we loved the food here. After we ate, we saw some Disney Characters again. We rode steamer again to go back to Mediterranean Harbor so we can ride Venetian Gondolas but no schedule at that time because there is upcoming show daw so we moved to American Waterfront to ride one popular attraction which is Toy Story Mania. I wanted to try this ride again kaso more than one hour ang pinila namin so nakakapagod din. I forget to avail the FastPass kasi. We watched a show at Dockside Stage. Puro sideview nga lang kuha but still we enjoyed the show. We rode Big City Vehicles and checked different stores. 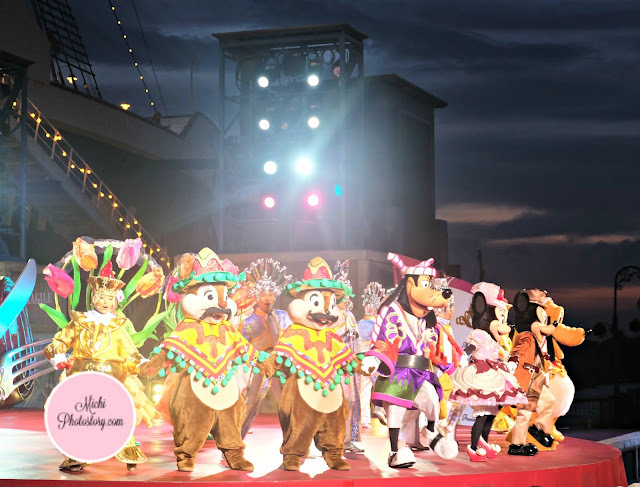 We’re supposed to go home early because we don’t want to miss the train but when we saw the crowd at the Mediterranean Harbor, we changed our mind and we watched the last show. We have no regrets in waiting, the Fantasmic show is spectacular. I wanted to take video but my memory is full. Waah!